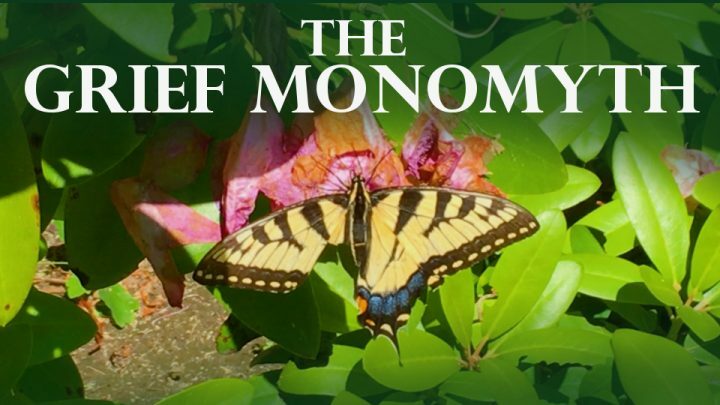 “The Grief Monomyth” is a travel documentary about the soul’s journey through grief, presenting a new paradigm for healing after the loss of a loved one. Formed on the foundation of the archetype of the hero’s journey and based on the memoir by Maryann Manelski, it follows love and death and rebirth as experienced by five New Yorkers. Through frank and raw explorations of their own emotional aftermaths, the five reveal the spiraling path that heals the human heart of grief. Their various stories show how emotional perseverance propels every soul to the triumph of personal evolution and the freedom to live again. The Grief Monomyth from Elm Films. Also included in our streaming package are the informational short films Men Navigating Grief and What is a Bereavement Group?